StarWind Virtual Tape Library (VTL) brings in more safety for your mission-critical data by creating an additional backup copy and offloading it to Amazon AWS. It helps to fulfill 3-2-1 backup plan inexpensively allowing you to store additional backup copy of data with no extra hardware involved. Safety of mission-critical data is crucially important for your business. The more copies you have, the less is the risk of data damage or loss. StarWind Virtual Tape Library (VTL) allows you to create additional copy of backup data without any interference into your IT infrastructure by storing it in Amazon AWS public cloud. It enhances your backup plan cost-efficiently, since no new hardware is involved. To insure your data against nearly any failure scenario, you must follow the 3-2-1 backup rule. It implies you should have 3 copies of your data, with the backup copies stored on 2 different media, and 1 of them stored in a remote location. This is what StarWind VTL helps to achieve, it stores your backup copy in Amazon AWS cloud safely and inexpensively. 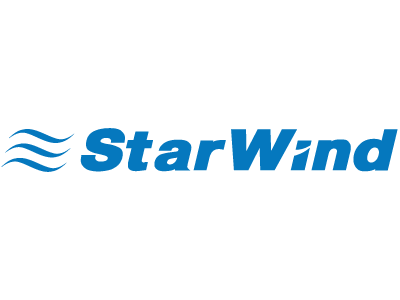 StarWind VTL is a software, which speeds up your backup process being faster than the physical tape. It supports standard uplink protocols, like SMB3, NFSv4.1, iSCSI, working with almost any virtual environment.